Pope Francis' silent prayer at the concrete barrier Israel is building around the West Bank recalled by Bishop of Kildare & Leighlin. 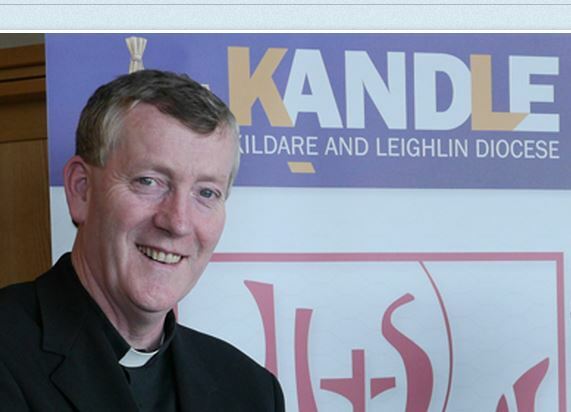 In his Christmas and New Year message, Bishop Denis Nulty of Kildare and Leighlin has remembered the Pope’s visit to the Holy Land in 2014. “I think today of Pope Francis’ visit to Bethlehem and the Holy Land in May earlier this year. It was a particularly moving moment when he stopped his motorcade between scheduled events in Bethlehem to pray before the massive concrete separation barrier that divides the Palestinian City from Israel,” Bishop Nulty stated. “With Pope Francis it’s always the asides, the ‘off the cuff’ remarks, the sudden stop offs that make huge impact,” he added. Pope Francis prayed silently at the concrete barrier Israel is building in and around the West Bank during his three-day tour of the Middle East. Later in Bethlehem, the Pope invited the Israeli and Palestinian presidents to the Vatican to pray for peace. Bishop Nulty also spoke of his own visit to the Holy Land last January as part of a delegation of bishops and church aid workers, including Trócaire. “The overnight visit to Gaza will remain with me for a long time to come. I took a picture of that horrendous concrete wall and allowed the picture to be my computer screensaver for a good period of the year. If only those living there could switch on and off the wall image as easily,” he stated. Gaza was the focal point of the visit by the Vatican’s Holy Land Co-ordination group, and delegates included Bishop Nulty and other Irish bishops. The Christian community of Gaza is made up of around 2,500 people, of whom Catholics number just under 200, out of a total population of over 1.5 million. After celebrating Mass with the Holy Family parish in Gaza and meeting the parishioners, the bishops met with Religious Sisters and Christian agencies, visiting projects for the disabled and deaf and vocational training of young people. They also offered their support to the Christian schools and hospitals at the service of all in Gaza. 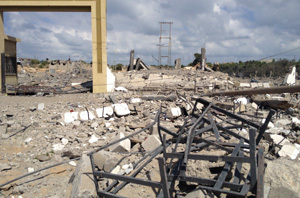 The people of Gaza urged Christians across the world not to forget them, to pray for and support them. In their final communique, the bishops, called for an urgent resolution to the situation, describing Gaza as a man-made disaster and an injustice that cries out to the human community for a resolution. In his message for both Christmas and the New Year, Bishop Nulty also thanked those who sent him Christmas cards. He recalled the focus on the family at the synod in 2014 and which will be followed by a synod in Rome in 2015. He prayed for the families who are victims of war and violence and especially those Cairns, Australia and the young schoolchildren in Peshawar, Pakistan. He also remembered the displaced Christian families in Iraq and Syria. Dr Nulty concluded with a wish that people experience Christ’s presence in a deep and profound way in 2015.